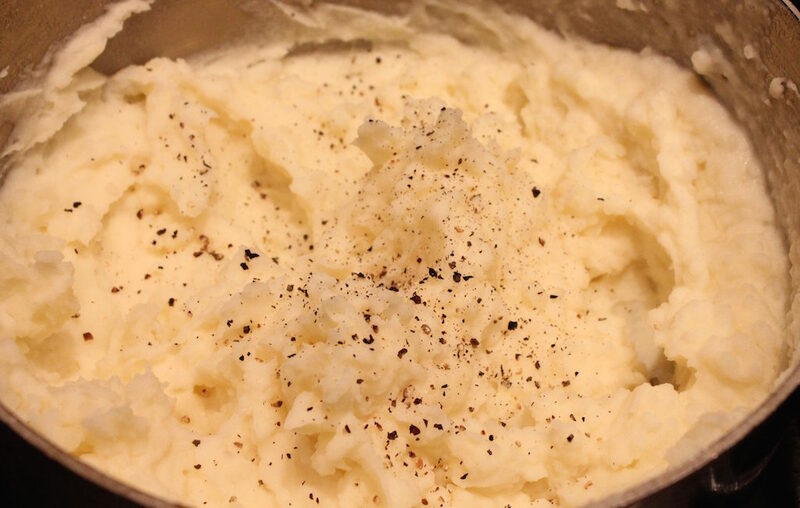 There is nothing as simple, yet comforting, as mashed potatoes. I like to use all kinds of potatoes for mashing, but Russet or Idaho potatoes are best when you want the fluffiest potatoes. Russet potatoes also do a great job absorbing gravy, another bonus. There are a few ways to mash potatoes. A traditional potato masher, my favorite, which allows me to leave little lumps. 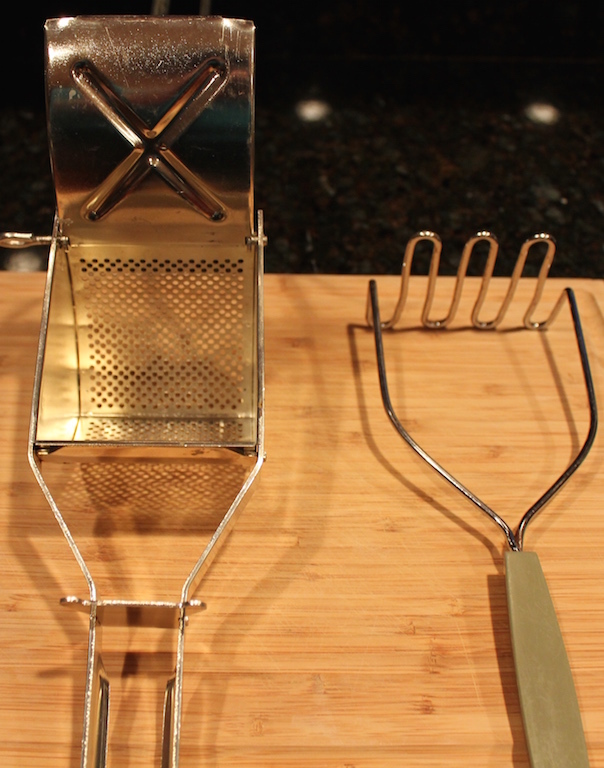 The potato ricer for smooth mashed potatoes. An electric mixer, which makes smooth mashed potatoes, but because of the high starch content of potatoes, Russets in particular, the electric mixer quickly breaks down the starch makes the potatoes pasty. Use carefully. 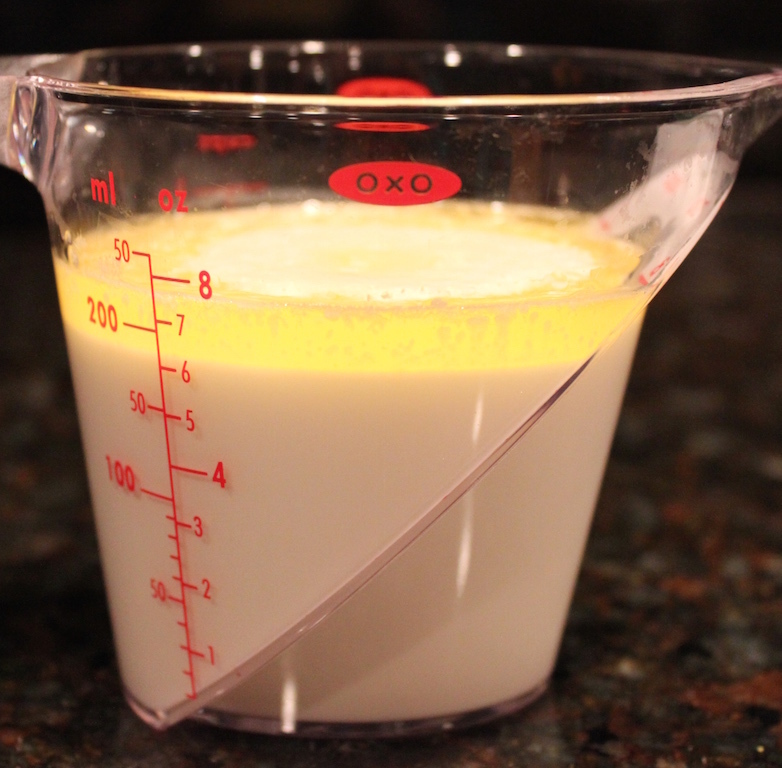 Keep it light with skim milk, or use regular milk or half and half. Substitute olive oil or margarine for butter. Substitute stock or plain soy or almond milk for dairy. If serving gravy, reduce the mashing liquid by one-third to let the potatoes absorb gravy and not get too thin. A couple of variations for mashed potatoes include eliminating the butter and substituting a cup of shredded sharp Cheddar cheese for a cheesy mashed dish. Or, substitute 1 pound of potatoes for another root vegetable, such as carrots, turnips, celery root or parsnips. Taste the final mashed potatoes to decide if they need more salt, and taste the gravy to determine seasonings. It’s unlikely the cheesy mash requires any more salt, but a healthy dose of freshly ground pepper complements the cheese nicely. I prefer black pepper with mashed potatoes, but there is the option of white pepper to keep them all white. Put the mashing liquid and butter in a small sauce pan or a microwaveable bowl. Heat to melt the butter while the potatoes are cooking. 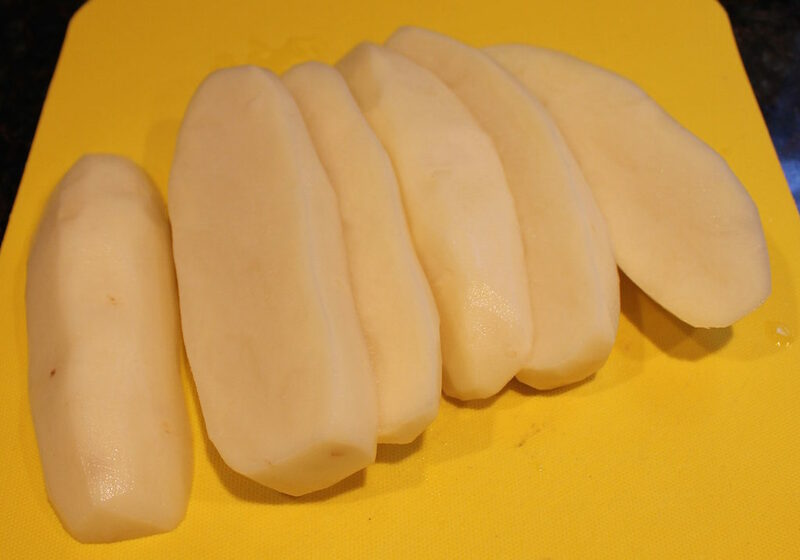 Peel the potatoes and cut lengthwise into three pieces. 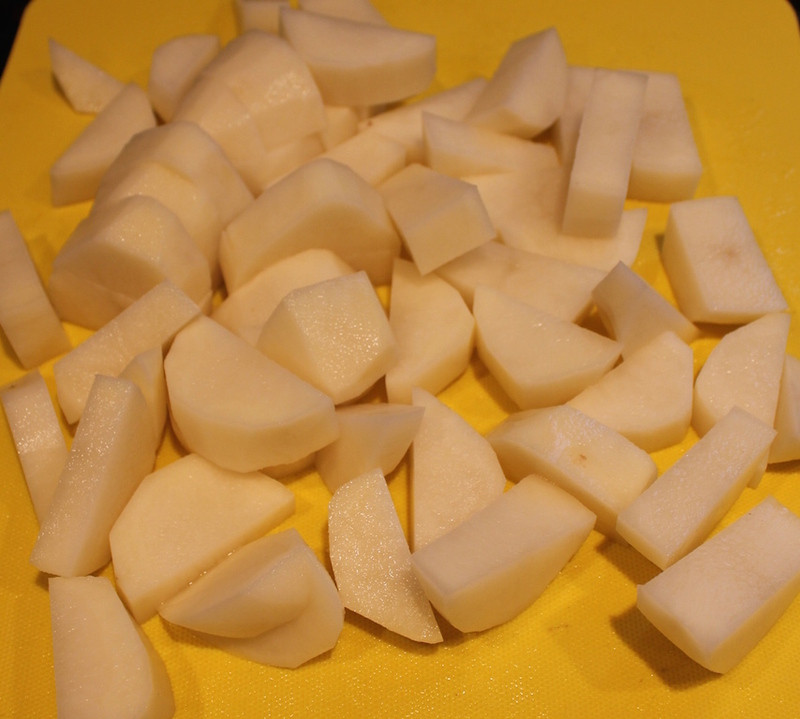 Turn and cut the potatoes into similarly sized pieces. 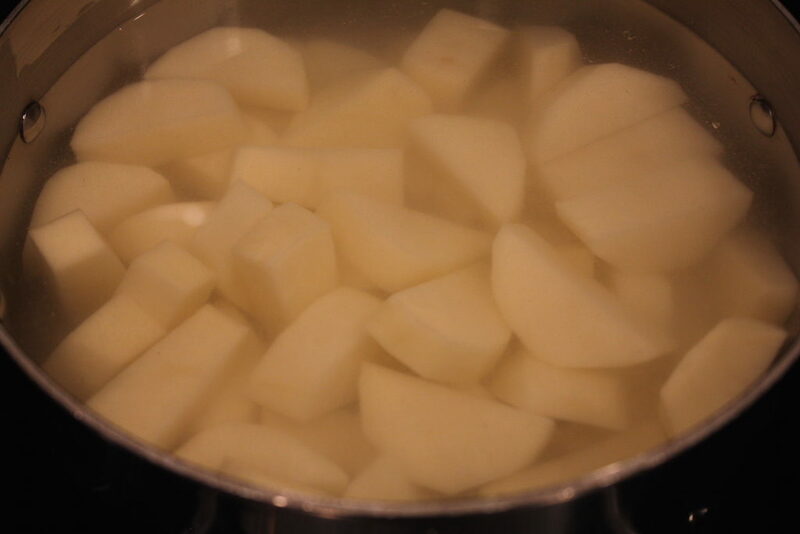 Place the potatoes and salt in a covered, medium-size pot and add enough water to exceed the potatoes by two inches. Cover and bring to a boil. Tilt the cover and lower the heat a little and continue cooking, until very tender, about seven minutes. Drain. Potato Masher Version: Add the potatoes back to the pot and coarsely mash. 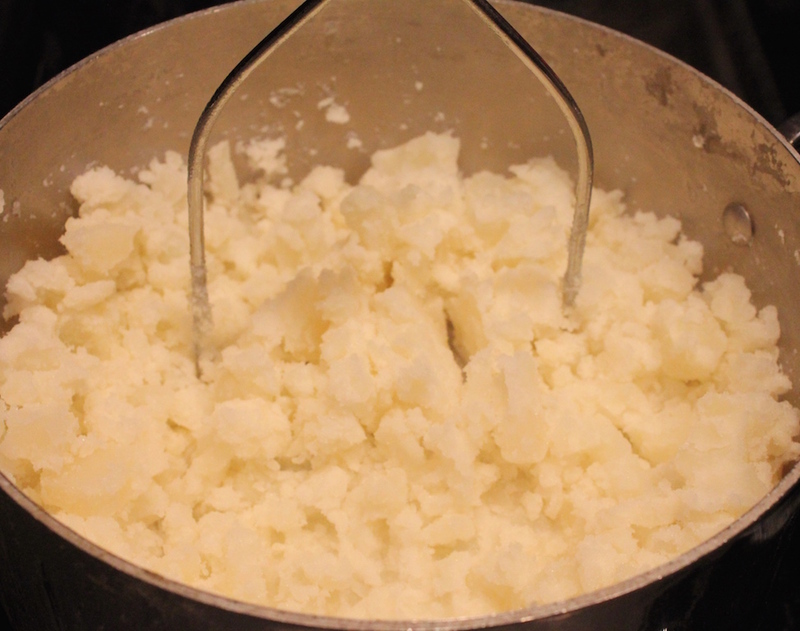 Pour the warm mashing liquid over the potatoes and mash to your preferred consistency. Season with salt and pepper to your taste. Potato Ricer Version: Place the potatoes in batches in the ricer and press into the pot. 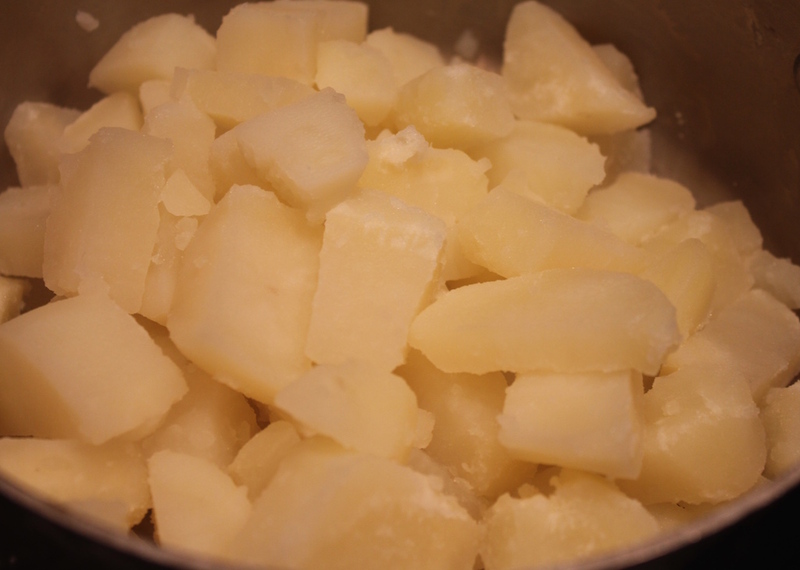 Pour the warm mashing liquid over the potatoes and mash to your preferred consistency. Season with salt and pepper to your taste. Place the potatoes and salt in a covered, 4-quart covered pot and add enough cold water to cover the vegetables by two inches. Tilt the cover and lower the heat a little and continue cooking, until very tender, about seven minutes. While the potatoes are cooking, heat the mashing liquid and butter in a small saucepan or a microwaveable bowl until the butter is melted. Potato Masher Version: Add the potatoes back to the pot and coarsely mash. Pour the warm mashing liquid over the potatoes and mash to your preferred consistency. Season with salt and pepper to your taste. Potato Ricer Version: Place the potatoes in batches in the ricer and press into the pot. Pour the warm mashing liquid over the potatoes and stir to combine. Electric Mixer Version: Place the potatoes in the mixing bowl and beat on low to break them up. Add butter and half the liquid and combine. Scrape the sides of the bowl and beater and add the rest of the liquid. Beat just until smooth.